presents a clear and present likelihood that, either because of its content or the manner of distribution, it will cause a material and substantial disruption of the proper and orderly operation and discipline of the school or school activities, or it will cause the commission of unlawful acts or the violation of lawful school regulations. 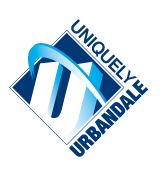 These regulations and procedures apply to the distribution of unofficial materials by Urbandale Community School District students on District premises or at school activities. Persons not students wishing to distribute unofficial materials shall contact the Superintendent’s office. Distribution of student materials in classrooms for classroom activities may be regulated by the classroom teacher to insure compliance with curriculum objectives and District regulations. d. The grade(s) of students to whom the display or distribution is intended. Within one (1) school day of the submission, the principal (or the principal’s designee) will render a decision whether the material violates the Guidelines in section A or the time, place and manner restrictions in section D of the regulation. In the event that permission to distribute the material is denied, the person submitting the request shall be informed in writing of the reasons for the denial. If the student submitting the request does not receive a response within one (1) school day of submission, the student shall contact the principal’s office to verify that the lack of response was not due to an inability to locate the student. If the student has made this verification and there is no response to the request, the material may be distributed in accordance with the time, place and manner provisions in section D.
If the student is dissatisfied with the decision of the principal (or the principal’s designee), the student may submit a written request for appeal to the Superintendent of Schools. The decision of the Superintendent shall be final. If the student does not receive a response within three (3) school days (not counting Saturdays, Sundays or holidays) of submitting the appeal, the student shall contact the Superintendent’s office to verify that the lack of response is not due to an inability to locate the student. If the student has made this verification and there is no response to the appeal, the material may be distributed in accordance with the time, place and manner provisions in section D.
At every level of the procedure, the student submitting the request shall have the right to appear and present the reasons, supported by relevant witnesses and material, as to why distribution of material is appropriate. Permission to distribute material does not imply approval of its contents by either the Urbandale Community School District, the Board of Directors, the administration, or the individual reviewing the material submitted. D. Time, Place and Manner of Distribution. The material shall be distributed from a table set up for the purpose in a location designated by the principal, which location shall not block the safe flow of traffic or block the corridors or entranceways, but which shall give reasonable access to students. The material shall be distributed either before and/or after the regular instructional day. The following definitions apply to the following terms as used in this regulation. (c) The material, taken as a whole, lacks serious literary, artistic, political, or scientific value for minors. “Minor” means any person under the age of eighteen (18). (a) Where the normal school activity is an educational program of the District for which student attendance is compulsory, “material and substantial disruption” is defined as any disruption which interferes with or impedes the implementation of that program. (b) Where the normal school activity is voluntary in nature (including, without limitation, school athletic events, school plays and concerts) “material and substantial disruption” is defined as student rioting, fighting or scuffling, unlawful seizures of property, shouting or boisterous conduct inappropriate to the event, participation in a school boycott, demonstration, sit-in, stand-in, walk-out, or other related forms of activity. In order for expression to be considered disruptive, there must exist specific facts upon which the likelihood of disruption can be forecasted including past experience in the District or community, current events influencing student activities and behavior, and instances of actual or threatened disruption relating to the written material in question. “School activities” means any activity of students sponsored by the school and includes, by way of example, and not by way of limitation, classroom work, library activities, official assemblies and other similar gatherings, school athletic contests, music programs, school plays, and other co-curricular activities. “Unofficial” written material includes all written material except school newspapers, literary magazines, yearbooks, and other publications funded and/or sponsored or authorized by the school. Examples include leaflets, brochures, flyers, petitions, placards, pins, buttons, and underground newspapers, whether written by students or others. “Distribution” means circulation or dissemination of materials by means of handing out free copies, selling or offering copies for sale and accepting donations for copies. It includes displaying written material in areas of the school which are generally frequented by students. Distribution by any student of unofficial written material prohibited in section A or in violation of section D will be halted, the materials seized, and disciplinary action will be taken in accordance with the District’s Behavior and Discipline Code. Any other person violating this policy will be requested to leave the school property immediately and, if necessary, the police will be called.